Every year the Villa’s culinary services provide 115,000 meals to students at no cost to their families. But when they’re out of school, many don’t know how or when they’ll eat next. Other families are just one car breakdown, illness, or paycheck away from financial crisis. The Villa Grocery is our newest on-campus resource to make sure no child or family goes hungry. 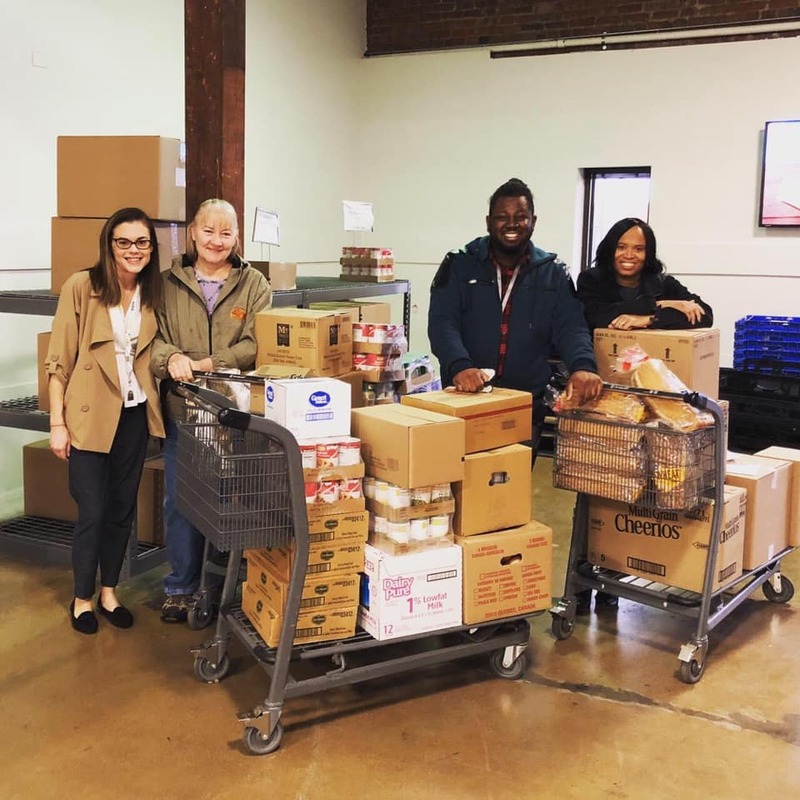 In partnership with FeedMore and operated by our Career and Transition Services (CATS) team, the Villa Grocery is a client-choice food pantry for students, families, and Villa staff, stocked with healthy produce and non-perishable goods. Those who shop at the Villa Grocery are provided a concealed backpack for taking food home. Beyond preventing hunger, the Villa Grocery will also serve as a job training site for our students. “It’s a great opportunity for students to learn about inventory management, budgeting, and customer service, and to continue building the skills they’re working on at other CATS sites. They can take it to another level here by managing an actual grocery shop,” said Kreydatus. CATS student Ashley stocks shelves at the Villa Grocery. Another exciting component of the Villa Grocery is the chance it offers kids to help other kids. Students from all of our schools will be able to harvest fruits and vegetables from our Learning & Therapy Garden to contribute to the Villa Grocery, while CATS students will assist with shopping for food at FeedMore. FeedMore Regional Manager Sarah Dovel, who helped make the Villa Grocery a realty, joined the grand opening celebration. 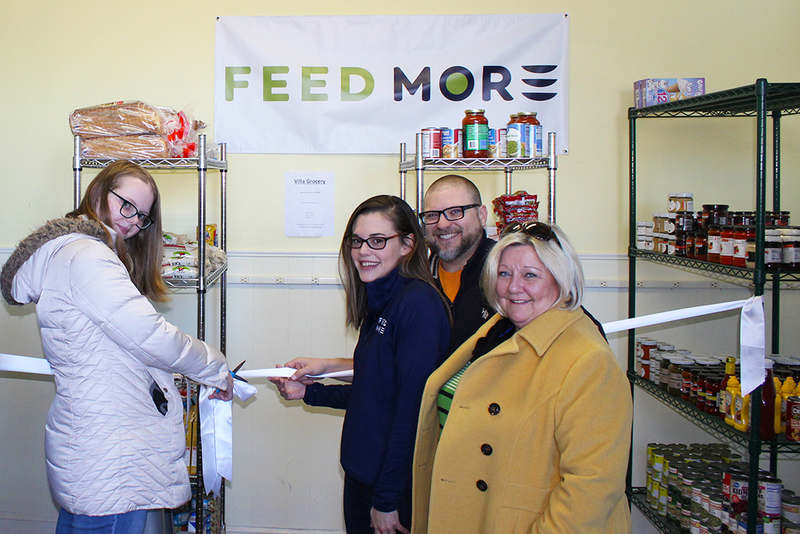 The CATS team shops at FeedMore to prepare for the Villa Grocery’s grand opening.